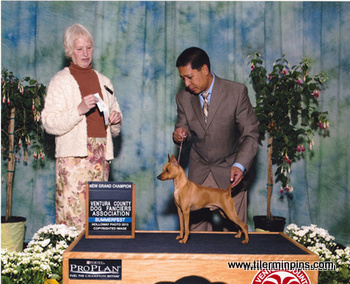 Tango finished his Grand Championship here in the USA and will continue his show career in Manila, Philippines in 2014! 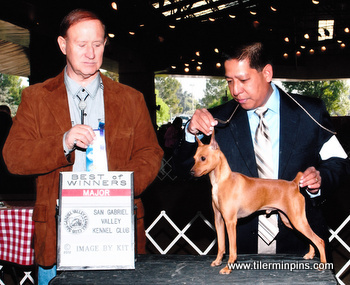 Tango show debut winning Best of Winners for a MAJOR! 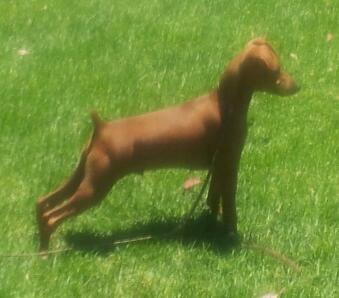 This is Tango at 4 months old; got his first point at the age of six months on his show debut. 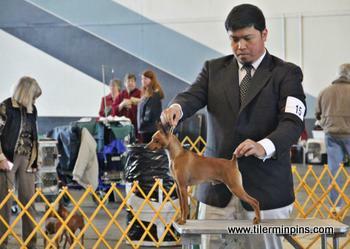 He is half brother to Brackley My Amazing Warrior “Paxton” Best of Breed 2012 Minpin Nationals. This boy is full of attitude. Watch him in the ring this 2012!